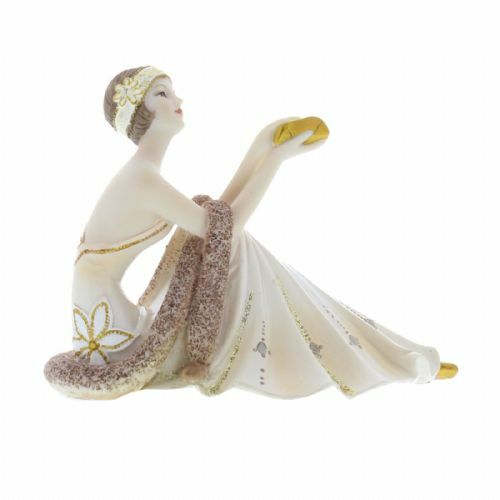 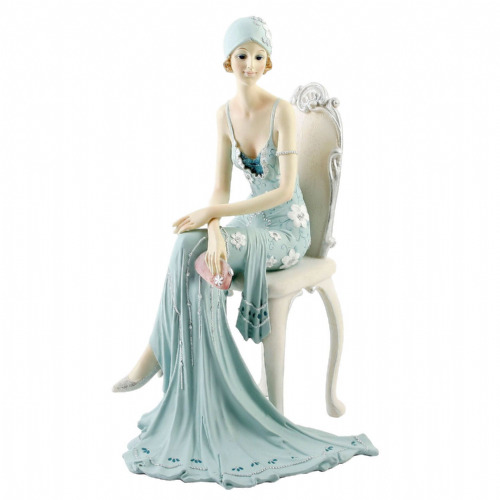 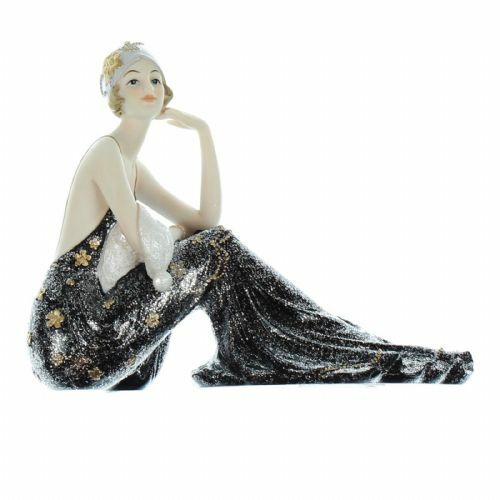 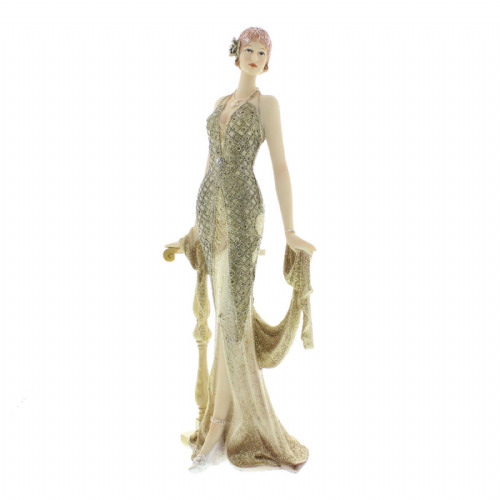 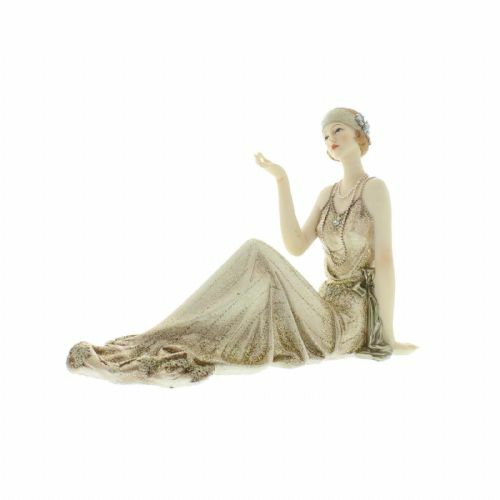 A beautiful collection of Art Deco lady figurines from Juliana. 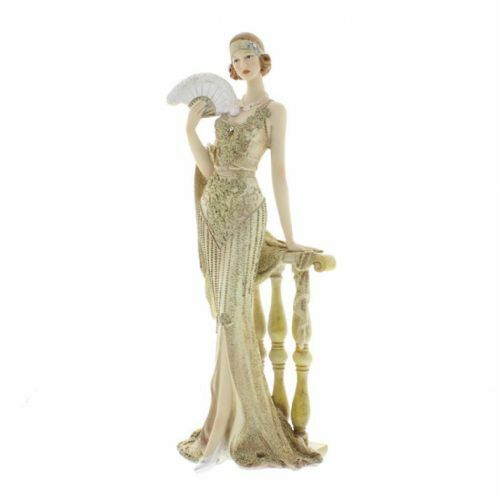 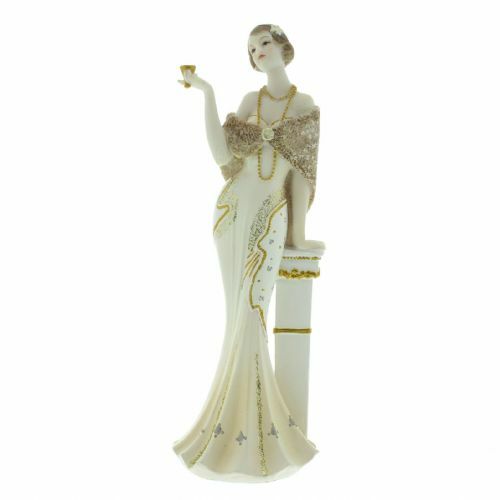 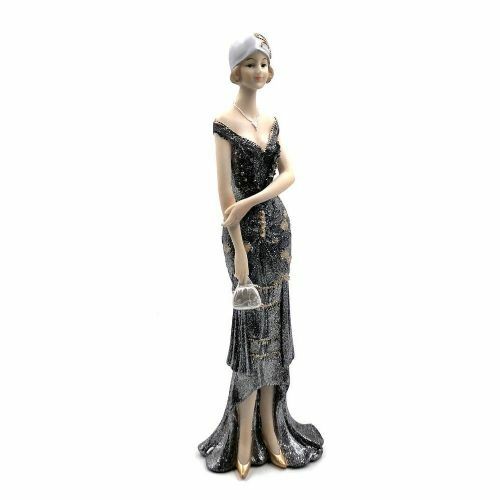 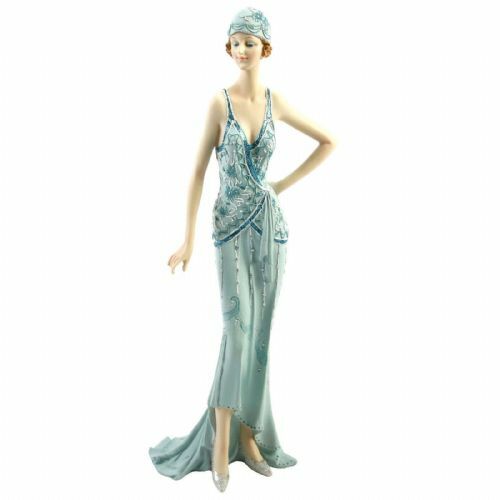 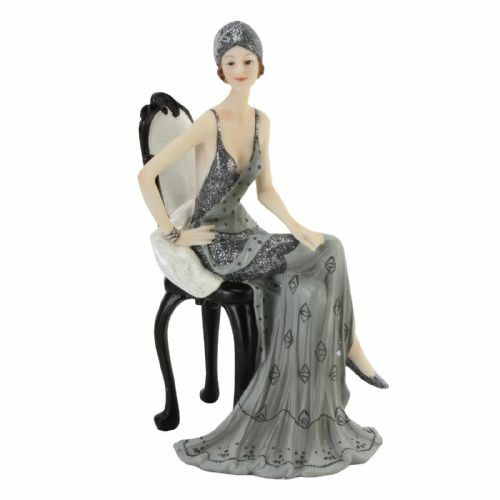 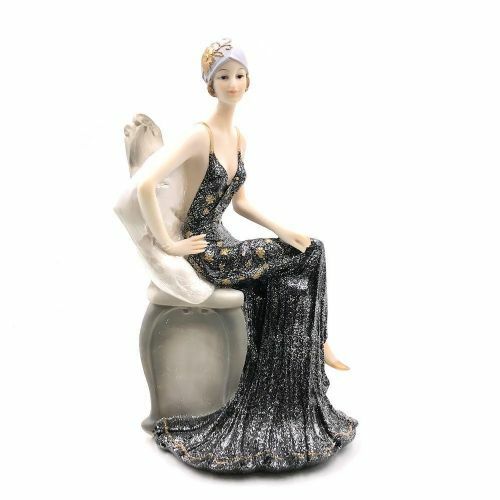 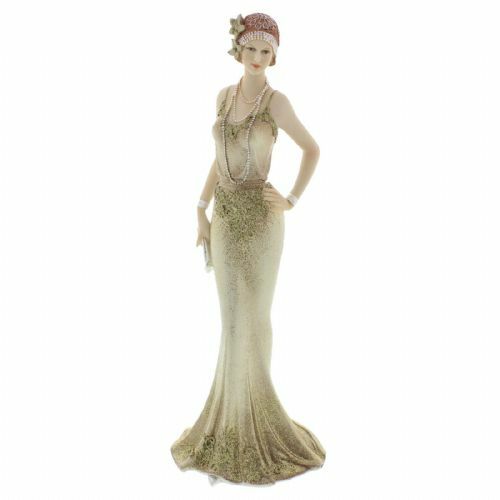 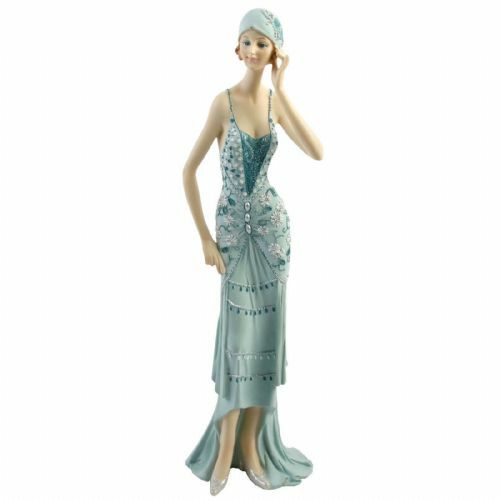 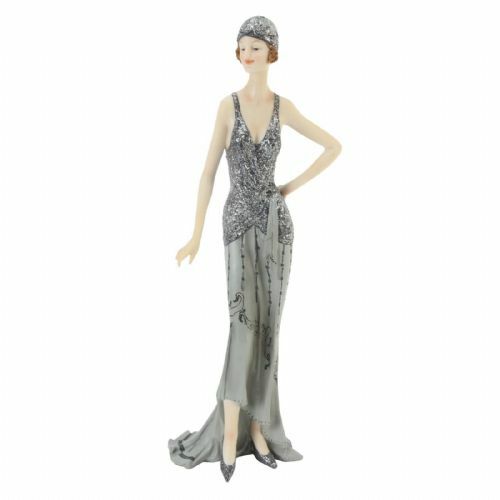 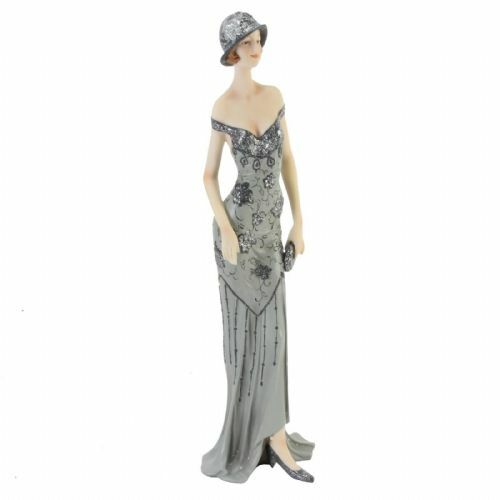 The Broadway Belles collection is a range of expertly crafted hand painted figurines perfectly capturing the elegance and sophistication of the Art Deco era. 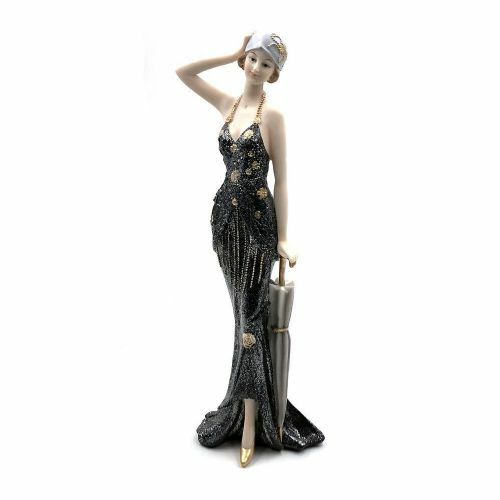 Each lady is dressed in a gown detailed with glitter, silver and pearl accents. 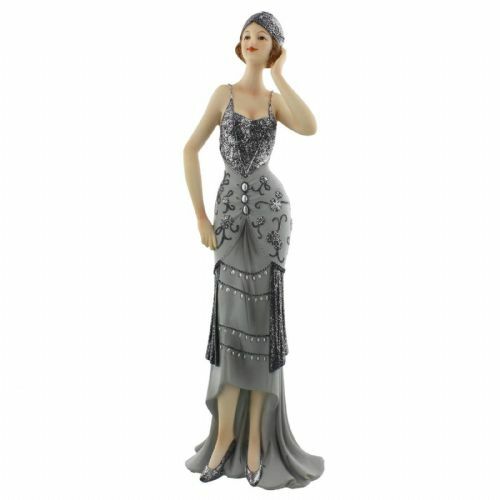 These beautiful high quality collectable figurine ornaments come in three designs. 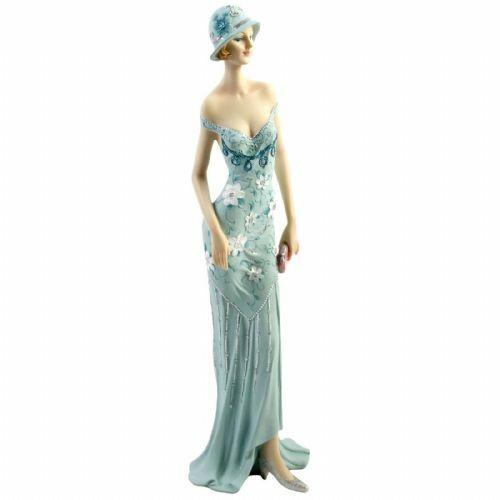 The Teal Collection features beautiful aqua coloured gowns. 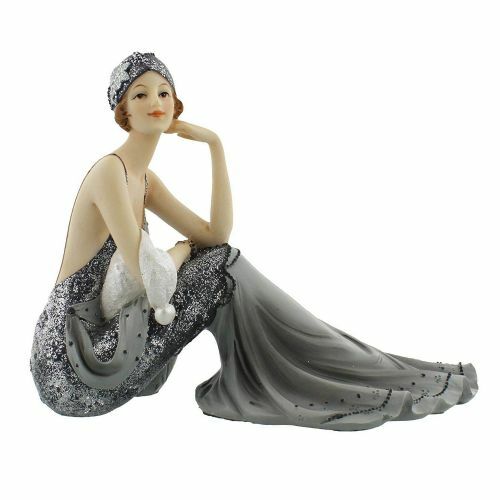 The Midnight Shimmer collection is styled using on trend silver and grey colours. 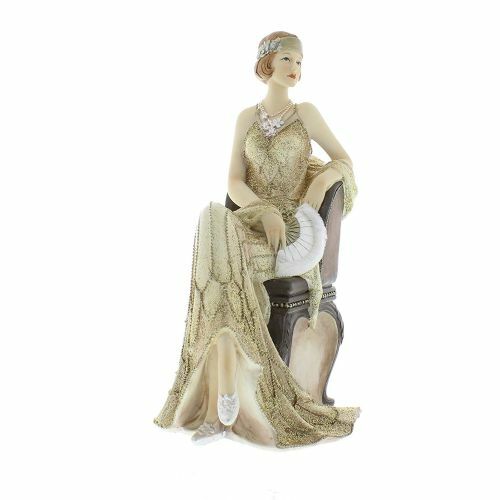 The cream and gold collection exudes luxury and finds a place in any decor. 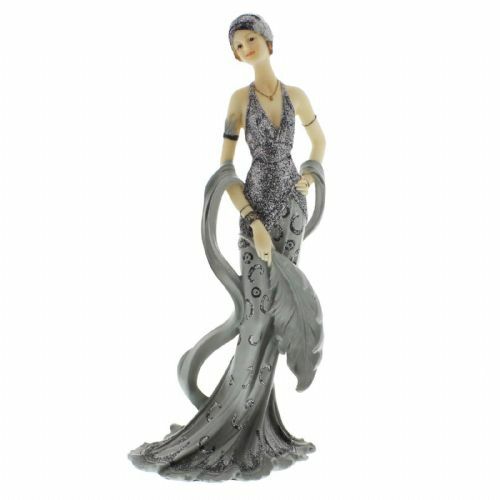 All Juliana Broadway Belles figurines are manufactured in high grade resin and hand painted. 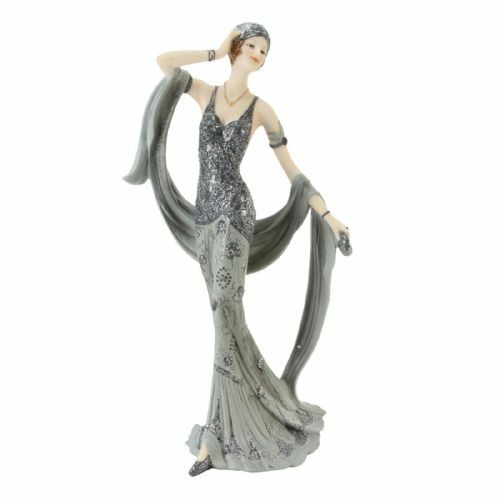 Truly collectable figurines presented in branded boxes.